The six signature shoe for Jumpman23 has been pushed by the Jordan Brand team all year, but this model will be of a special significant. Originally release in 1991 in 5 original color ways, White/Infrared (3 times release) Black/Infrared (5 time release) Off-White/New Maroon (1 time release) White/Sport-Blue (2 time release) Carmine/Black (3 times released). For the first time since it's introduction the Maroon 6's will be back and in a re-mastered version. So heads up cause this one is 14 year in the making. Design by Tinker Hatfield, this was the last Jordan sneaker to shine the NIKE AIR on the back heel. Specifically made two hit MJ's calcaneal tensor, this model came with an additional pull tab on the front tongue. It also brought the ice sole like the Retro 5 and is considered to be the first championship sneaker for MJ's 6 rings. Maroon 6's come back dressed on an Off-White body, with the New Maroon accents on the tongue pull tag, back pull tab, lace lock, bottom sole and Jumpman Logos. it will be build of premium smooth leather and tumble leather. It will come with a cream clear gum sole, finishing off with the custom Black and Elephant print packaging Jordan box. This sneaker will be available by Raffle entry only in Men's and Grade-School sizes. While the Pre-School and Toddler will stay on a First Come First Served. Today Thursday 12/3 will be the last day for distribution, make sure you hit Long Beach or San Pedro location before closing time 8:30 pm. Thanks for reading remember to Like, Share, and Comment. Stay Fresh ! Sneakernstuff x Brooks Regent "American Dream"
Brooks footwear has been working hard on collaborations with major companies and sneaker boutiques, the next installment will be brought to you by the collab with Swedish website/shop SNS. Originally established in 1999 as a website Sneaker-N-Stuff became a major player in the sneaker culture and with it's own store in Swedish borders it is only right to stamp a sneaker. The collaboration will find inspiration and take concept of a classic 1971 movie "The Emigrants" released by Warner Bros in the States. The film gives us a look at the Swedish "American Dream" and a feedback of the struggles and worries that nations alike can have. This sneaker will bring be build of a fabric stripe upper on mixture of white and grey, it will drive a black accent body. SNS and Brooks branding on the tongue, It will have the word Charlotta which is the ship name on the novel and Karlshamn the path taken to reach New York. It will come with custom insoles picturing the path and the land of the free. Finishing with a leather interior and air pocket support. Novels and books can always make concept of sneakers look fresh and stylish. This collaboration is a one in a million letters and can be picked up at our Long Beach location exclusively. Please take your time to call and check size availability. Thanks to our Blog representative Edwin Gio Hernandez aka @1984_present. Remember to like, share and comment. Keep it Fresh ! e-commerce world wide internet. It has since been used as a heavy marketing event by companies and small shops on an international basis. Air Jordan will release a new color on the AJ1 to recognize the famous event, and the only Monday that everyone looks forward to every year. Jordan Brand will use a solid color base and solid white, making a demanding sneaker for customizers everywhere. Utilizing a premium leather upper, this Retro comes in a solid black look, a customizer dream shoe. It will come on a classic OG look and branded on the tongue with NIke Air. a Solid white sole will come together with a double extra lacing in white. Closing with a Nike Air insole and a custom OG packaging. Jordan's like these modles don't come everyday and kicks to customize like the one released can only bring the imagination out of every person. The possibilities, available at both location on a First Come First Served basis. Make sure you call your local store for stock check. Since these are flying of the shelves. Thanks for checking us out, like, share and follow. Stay Fresh ! Jordan Brand surprises the Sneaker Culture with the return of the low cut retro 14's. Now this model was last seen in this version in 2008 with the women's exclusive CERISE. This time around guys will continue to drool, since they will be a Grade-School exclusive launch. Make way for the Phantom and don't forget this is seven years in the making. A major park that makes the Retro 14's unique is that each pair of sneaker has a total of 7 Jumpman logos and together combine a total of 14 as it's model number. The model was design the talents of Tinker Hatfield and Mark Smith. They grab inspiration by the Ferrari sport car with shield and major slim look of the design. It was the first retro to have a full breathable air ducts. A major reason why this will be beloved by all, it was worn during the 1998 NBA Finals against the Utah Jazz where MJ hits the winning shot. Conducting a solid white leather base the sneaker, it will drive a phantom black and metallic silver on the bottom sole, the original shield and logo branding will be stamped on each shoe. Air duct breathable support and Ferrari inspired shield. This shoes are now available exclusively at Long Beach please call since Limited sizes are available. Thanks for reading share, comment, and like. Stay Fresh ! Back to Back to Back the Retro 8 Aqua's are back for it's third time. Officially introduced to Sneaker Heads in 1993 this shoe has been retrod a total of only one time, making it much sweet to cop. Now although the AQUAS made a return in 2007, some of the construction and coloring changed and was not considered a retro in my eyes. The 2015 Re-Mastered will be as close as it's innovator and will bring the classic Memorial Card in each pair. As we all remember this shoes was worn during the 1993 All-Star competition by your Airiness MJ. This retro was know as the PUNISHER for it's traction and support. This sneaker will be the last pair he will wear after his first retirement. This was a major accomplishment for Tinker Hatfield since it was the craziest design model to surface and it sold out without a doubt. Making is way back with a full suede upper, it will have a classic black base, with a lighter fling grey back heel. it will mix the aqua blue and purple with accent of orange and red, making a desirable combo. A double strap hits the front of shoe and 23 on top of strap with the word Air Jordan on each side strap. Finishing with a 1993 inner sole, and retro card to keep up with its original look. These Js have been a long 14 year wait and is an amazing sneaker to be added to the collection. Make sure you call ahead of time to check size availability (Limited sizes available) both stores are reachable by clicking CONTACT above. Thanks for reading and don't forget to like share and comment. Stay Fresh ! 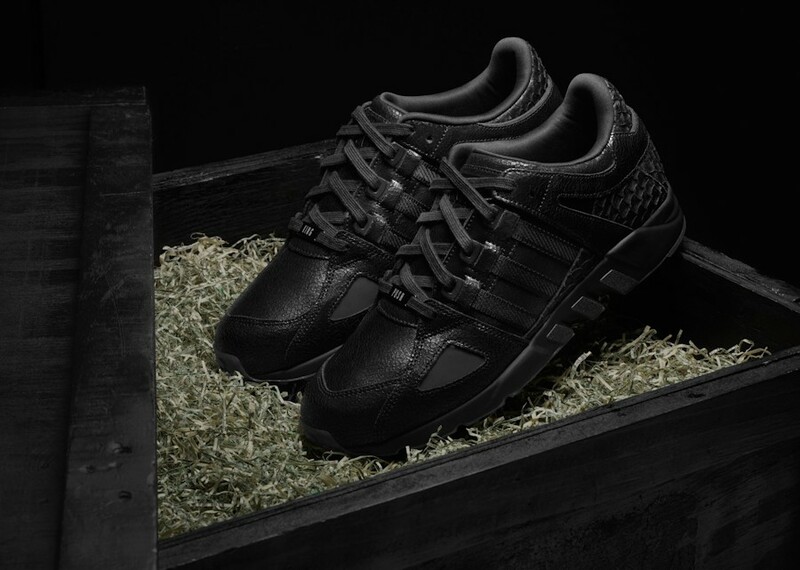 Adidas Original x Pusha T EQT Running Guidance '93 "Black Market"
While most are impressed by the major deals and offers this coming BLACK FRIDAY, some may not notice that Thanksgiving is ruined and the major part of the US life has become an artificial aspect and not the traditional family entertainment. Although all major market brands plan to break you pockets, other knock of brands will be ignored with their own BLACK event. King Push and Adidas open our eyes to illegal BLACK MARKET if it's with weapon's or Knock of brands, at the end of the day it's all about the hustle. But stay away from trouble. This sneaker have not been unveils so keep keep it locked for UPDATES on description. 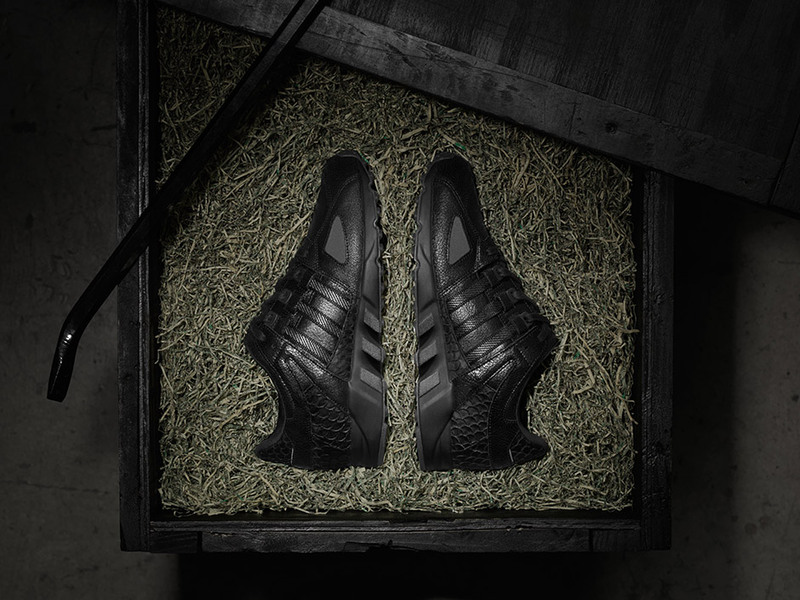 The King Push collaboration with Adidas are releasing at Long Beach as a raffle release, contact the store for full info on release and distribution. Thanks for the viewing remember to Like, Share, and Comment Stay Fresh !